Statistics available to the National Road Safety Commission (NRC) indicate that an average of 124 people die on our roads every month. This translates to over four deaths daily or 31 deaths weekly. To stall such a disturbing trend, the Parliamentary Committee on Roads and Transport, has given its blessings to the Road Traffic (Amendment) Bill which seeks to amend the Road Traffic Ordinance 1952 (No. 55) to stipulate spot fines for certain minor traffic offences. The Committee declared its position in a report on the Bill which is being sponsored by the Roads and Transport Minister, Dr Richard Anane, and currently before the House. 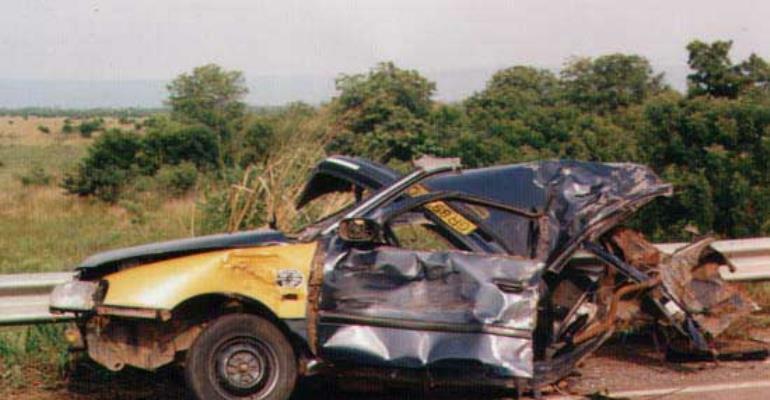 The road safety situation in Ghana, the Committee observed, is a serious problem which needs to be examined critically, NRSC data revealed that 98 deaths were recorded through road accidents from January to March 2003 in the Ashanti Region alone as against 187 deaths recorded from January to March this year. “Most of the causes of these accidents are avoidable minor traffic offences. Lives are being lost every now and then because of the negligence of drivers on our roads,” the Committee noted. In spite of the many measures adopted to discipline drivers who breach traffic rules and regulations, motorists still flout them with impunity, resulting in the high fatality rate on our roads, regretted the Committee. The introduction of “spot fines” aims at dealing expediently with reducing the level of indiscipline among road users, by increasing compliance with Road Traffic Regulations in the country. It also seeks to facilitate the administration of justice for traffic offenders and reduce pressure on the police and courts with respect to the processing and adjudication of minor traffic offences.